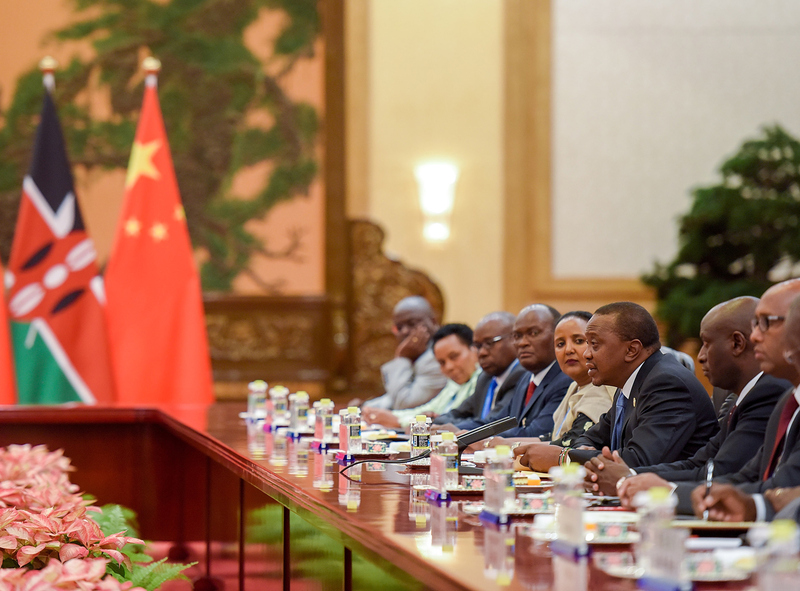 Kenyan President Uhuru Kenyatta (thrid-from-left) speaks during a bilateral meeting with Chinese President Xi Jinping (not pictured) during the Belt and Road Forum for International Cooperation, at the Great Hall of the People in Beijing, May 15, 2017. This is the core of the accusation that China is engaging in “predatory lending” in Africa, where Beijing entraps local governments with massive debts that will be difficult, if not impossible, to repay. When these governments invariably default, according to the “debt trap” theory, China will either take control of strategic African assets used as collateral or use its position for enhanced political influence. Soulé is among the world’s leading experts on the negotiation practices of African governments, particularly in West Africa, and their dealings with the Chinese. Her research reveals huge differences in how African governments at all levels (national, state, local) negotiate contracts with the Chinese. Involve everyone: When all relevant government departments are involved in a negotiation, it takes longer. However, the process is more coherent, and the resulting project is less likely to breach national regulations. Empower the negotiators: Too often, leaders or their senior advisors intervene in the process and undermine negotiators. Keep the public onside: Dealing with China can be very controversial in some countries, so if a deal is to succeed it is important to make sure the public also understands the value of interacting with Chinese financiers. Soulé joins Eric and Cobus to discuss her four recommendations and whether they are actually feasible in both autocratic and democratic governments in Africa.